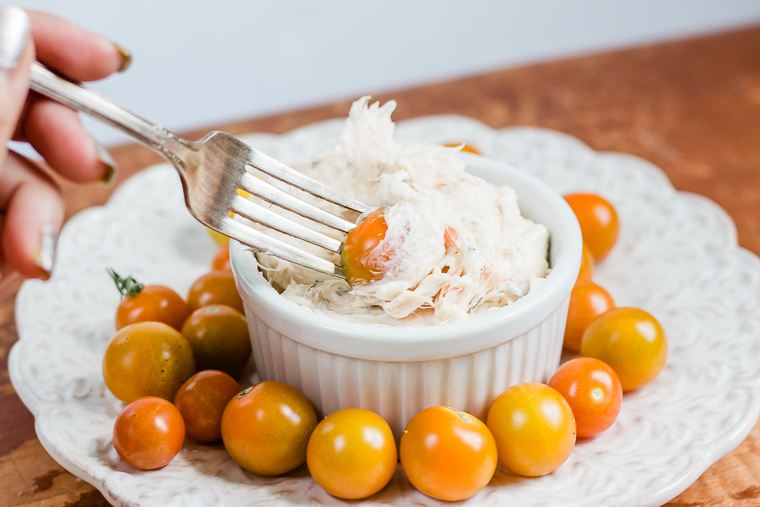 I never thought of combining tomatoes and cream cheese, until I went to a little event that taught a group of us how to make a few party food items. The instructor did stuffed small (cherry? Bigger than cherry? About golfball sized? 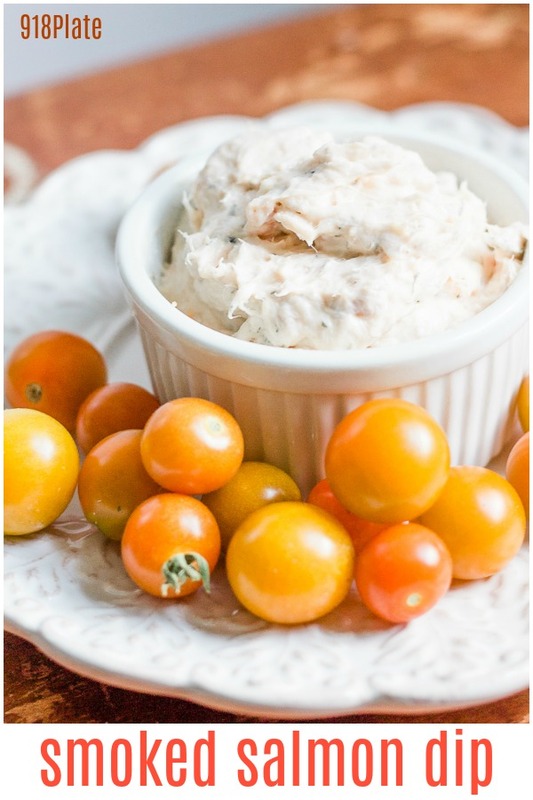 I never know the name) tomatoes with smoked salmon and cream cheese. It was amazing! It makes sense, since lox bagels often have cream cheese and tomatoes on them, but I never deconstructed it that way in my brain. 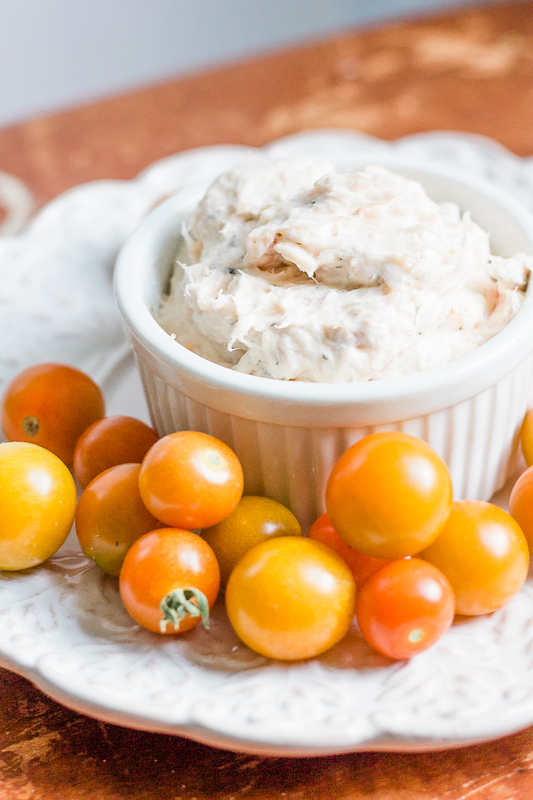 Smoked salmon dip gives the work to the eater instead of the host! A scoop of this onto their plate and they can dip til their heart is content and you aren’t left to pipe or cut out the insides of tomatoes! 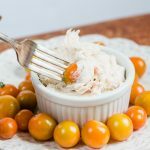 In this recipe, I used hot smoked salmon, because it incorporates really well into the cream cheese. Local Spotlight: Well, those tomatoes are ours!! I’ve been waiting all summer to share this with you for my tomatoes to ripen! Do you like hot or cold smoked salmon better? Need more party food ideas? What about mini pies? Or stuffed mushrooms? Combine all ingredients in a small bowl by hand or a mixer. 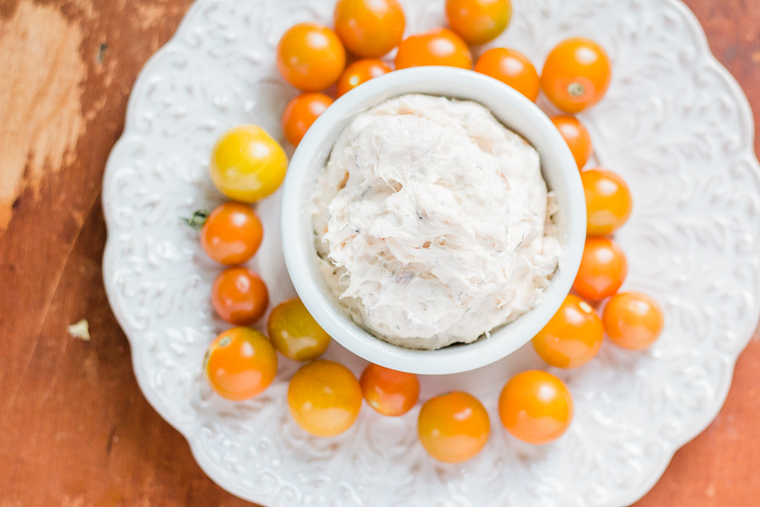 Serve with cherry tomatoes and crackers or toast points. Salmon is my favorite food ever! Yum! It’s pretty tasty a lot of different ways!